One of the most common questions I have had from knitters just starting out is how do you slip a stitch in your knitting. It seems straight forward and it is. As long as you make sure to slip it properly. Watch my new YouTube tutorial to see how to slip a stitch without twisting it. And also how to twist it if you want to. Produced in super slow motion. Enjoy. 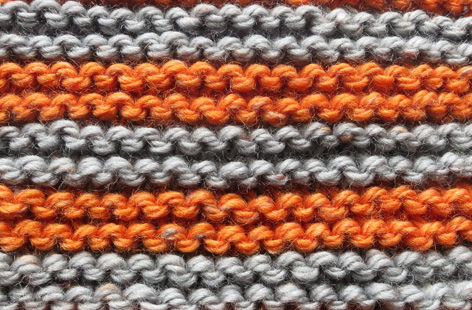 Garter stitch is probably the first stitch pattern you learned when you started knitting. It is perfect for your first scarf as it sits flat and is super simple. The basic pattern for knitting garter stitch on straight needles is to knit every stitch of every row. To knit garter stitch in the round alternate between one round of knit stitches and one round of purl stitches. A simple way to count garter stitch rows is to count two rows for every ridge. 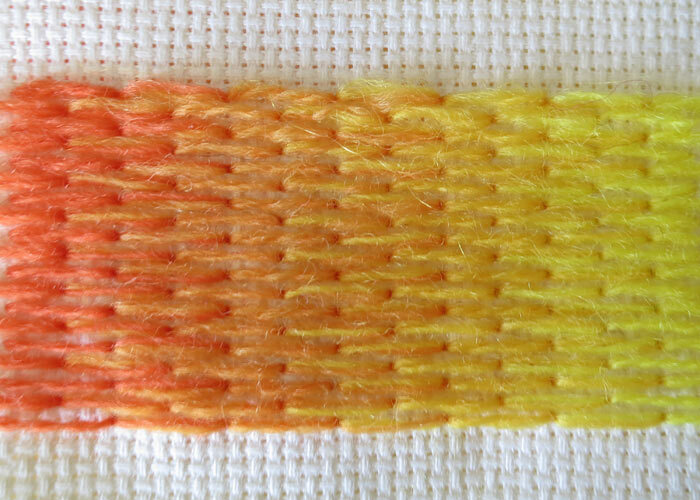 The sample above was knitted by alternating four rows of each colour. To avoid a line showing up when changing colours in a striped pattern, always change colour at the beginning of an odd numbered row. As the garter stitch is square in shape, you will be able to knit a square by knitting the same number of rows as the number of stitches you cast on. See my video tutorial on Garter stitch Intarsia if you want to learn how to make colour changes in the middle of a row of garter stitch. This technique allows you to make lovely color blocks like the one above and the shapes in my Tangram Square Blanket design. Things have been warming up down here in the Southern Hemisphere so I haven’t really felt like knitting scarves. 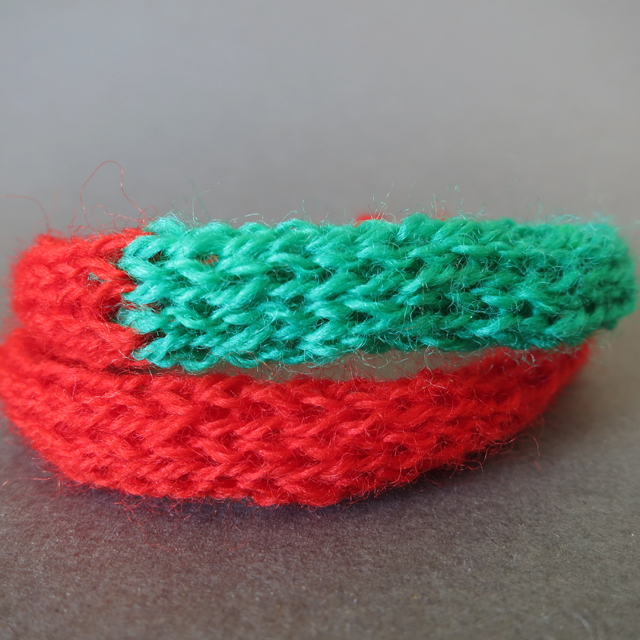 Instead I have made some cheerful knitted bracelets using the Merino Wool Lace weight mini skeins. They don’t take long and you get about 65cm of length (length of spring mix in first photo above) with one skein using the pattern below. Using 3mm knitting needles cast on 2 stitches. Repeat rows 4 and 5 until you reach the required length – ending with a purl row. Last row – Purl two together two times and then pass the second stitch over the first stitch and tie off.